‘The Peralta Colleges are ‘Peralta Proud’ of the Laney College Eagles Football Team for a successful 2016 Season. The Eagles finished the season last weekend with an impressive 49-35 win over rival CCSF in the SFCC Bowl and an overall record of 9 wins with only 2 losses. Athletic Director and Head Coach John Beam, gave us an exclusive peek into the Laney student-athletes preparation for this game with U.S. Senator Cory Booker. Congratulation to the entire Laney College Eagles Football Program. GO EAGLES!’ GO EAGLES!!!!! C.J. 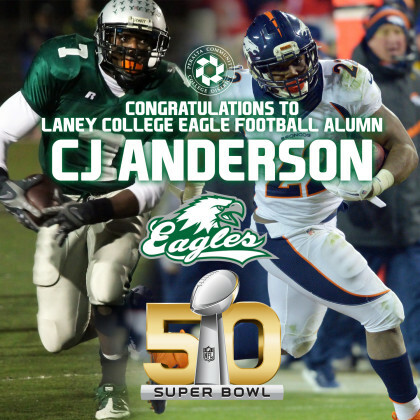 Anderson, a former Laney Eagles running back, will be starting for the Denver Broncos in Super Bowl 50 this Sunday. Anderson played with the Eagles from 2009 -10 and, and after graduation from Laney, played with Cal from where he was drafted to the NFL. During his two years with the Laney Eagles, Anderson was a National Junior College Athletic Association NorCal Conference leader–rushing for 1,524 yards and scoring 16 touchdowns in the 2010 season. Anderson received All-Conference, All-Region, All-State and All-American honors. Laney College — and everyone at the four Peralta Colleges — is proud of Anderson and all of our athletes: In 2014-15, 25 of Laney’s football players transferred to 4-year schools and collectively secured over $2 million in scholarship funds to support their educations. 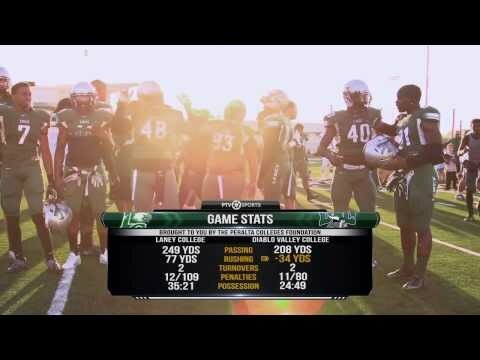 The 2013 EastBay Bowl was hosted by the Laney College Eagles as they faced the Diablo Valley College Vikings. DVC won last year’s EastBay Bowl and the Eagles were looking to even the score. The Laney offensive onslaught was on early and the defense did the rest. Congrats to the Laney College Eagles Football Team on the 2013 EastBay Bowl victory. The Fall 2012 Season comes to a close for the Peralta Colleges sports programs and the PTVSports Report has the action for you. The Merritt College Thunderbirds Soccer Club played their last home game of the year against the Comets of Contra Costa College…and the Laney College Eagles Football Team hosted the Reedley College Tigers in their quest for a bowl game. Stay Tuned to the Peralta Community Colleges Sports Authority…PTVSports! PTVSports has the report on the Laney College Lady Eagles Volleyball and Water Polo teams. As well as a review of the Eagles win over Hartnell in Football. This is the Peralta Community Colleges Sports Authority…PTVSports! The Peralta Colleges Sports Authority brings you all the action and the big plays from the student-athletes of the Peralta Colleges. This week Merritt College Thunderbirds Soccer and Laney College Eagles Football…on the PTVSports Report. The Peralta Colleges Sports Authority is back and ready to bring you all the action and the big plays from the student-athletes of the Peralta Colleges. College of Alameda Volleyball and Laney College Football this week. And PTVSports has the report. 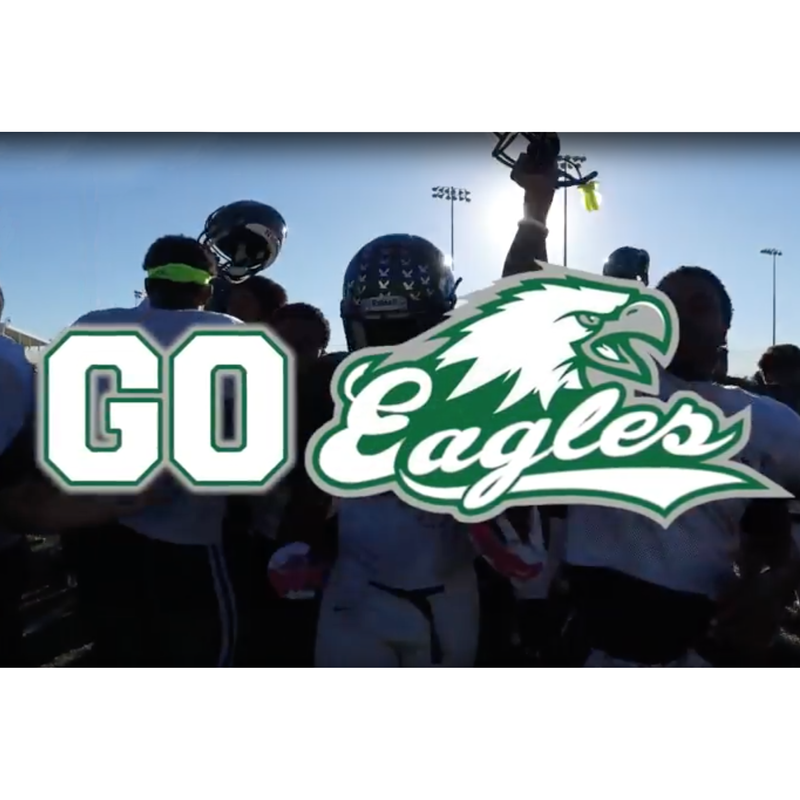 Laney College Eagles Football is a pillar of success in the East Bay. Cultivating and preparing student athletes for the roads less traveled. For the past 8 years John Beam has been contributing to that mission as Athletic Director, Instructor and Offensive Coordinator for Eagles Football. However, 2012 marks the beginning of a new era in Laney Football and Coach Beam is now the head coach. Taking over for Coach Jay Uchiumi will be a challenge but with over 25 years in Bay Area athletics, John Beam is ready for the task. PTVSports congratulates the coach and look forward to more winning season ahead. GO EAAAAAGGGGGLLLLEEEEESSSSS!!!!! PTVSports delivers another inside story from the sports programs at the Peralta Colleges. On the football field with Linebacker Omar Omilabu from the Laney College Eagles Football Team, PTVSports gets the info on the 2011 season and his aspirations after football. If you didn’t know… PTVSports is the Peralta Colleges Sports Authority. Stay tuned to Peralta News for more.